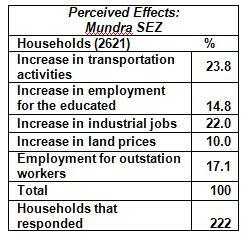 Mundra SEZ, Kutch district: In the survey villages Luni and Navinal, 75 per cent (379 of 495) of the households were landless, including those from the fishing communities. Only 23 of the 116 households had land and had access to irrigation. Nearly 80 per cent of the scheduled caste (SC) and other backward class (OBC) households were landless. 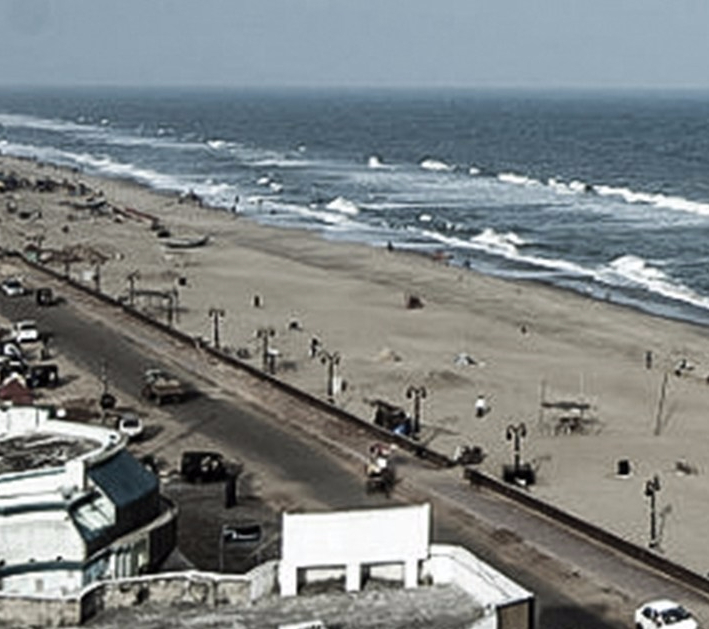 The survey showed that 72 per cent of the respondents knew that land was of be acquired for the SEZ. But “since agricultural land was not involved, the loss of livelihood from agriculture was not a major concern among households in the two villages”, comments the scholar. Only nine households reported that they had lost a part of their land, which they had received earlier from the state during redistribution of revenue land. A large majority of the respondents, barring the fishing communities, did not report any adverse impact owing to the loss of gauchar (pasture) land. In all, the households in the survey villages had 2,621 persons, of whom 1,098 (42 per cent) were in the workforce. Cultivation, agricultural labour, and livestock together occupied only a small proportion (18 per cent) of the workers in the villages. Fishery workers accounted for 32 per cent of the total. Of the 136 households belonging to fishing communities, 41 (30.1 per cent) said that they may have to give up fishing because of the loss of access to fishing sites. Casual work accounted for about 28 per cent of the main workers. In all, 112 workers (10 per cent) reported that their occupations had direct links with the activities at the SEZ. On the likely employment scenario in the next five to 10 years, only 22 per cent felt that there would be an increase in employment in industrial units as more units began functioning in the SEZ. Almost a similar proportion (23.8 per cent) reported a likely increase in transportation-related jobs. 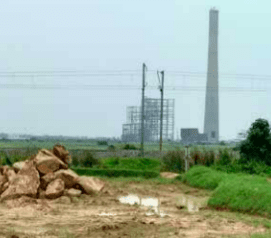 Dahej SEZ, Bharuch district: Here, the Gujarat Industrial Development Corporation (GIDC), which acquired land from 44 villages to set up the SEZ, including the survey villages of Ambheta, Jolva and Vadadala, paid up to Rs 17.3 lakh per ha, which is seen as a premium price in the local land market. Nearly 150 households in the three villages had received this price for their land. At the time of the survey, land had still not been fully acquired, and many farmers were cultivating it. Scheduled castes (13 per cent) and scheduled tribes (29 per cent) comprised 42 per cent of the households, and 36 per cent of them were landless. Of the 292 households that had land at the time of the survey, 265 did not have access to irrigation, suggesting low economic returns from it. As many as 34 per cent of the landed households reported an absence of irrigation or salinity as their main reason for selling land, whereas 52 per cent said that they had to give up their land due to the acquisition. 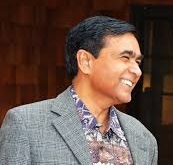 Industrial growth in the region, among other factors, had resulted in a steep rise in the price of agricultural land in Jolva and Vadadala. “This may have provided an incentive to several farmers to sell off their land to the GIDC”, says Prof Shah. On probing, nearly 85 per cent of the respondents indicated higher prices as a reason for having agreed to the acquisition. Of those who reported selling land, 15 per cent had purchased another piece of land, whereas several were planning to buy agricultural land in the near future. Most of the land purchased by these farmers was irrigated. When asked about their change in the economic status, one-third of the households said their incomes increased after they sold off their land. Besides, 57.1 per cent reported having created assets in the form of houses, vehicles and land. While more than 60 per cent of the households reported that they had lost land, more or less the same proportion said that they had secured new employment, and also that there had been an improvement in infrastructural facilities/amenities. Nearly 56 per cent reported a loss of livestock or fishing. 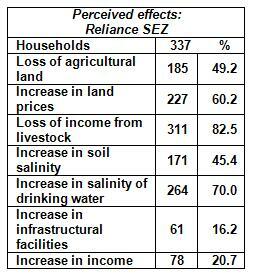 Of these, 24 per cent reported an adverse effect on income from livestock due to diversion of common land for the SEZ. Only a small minority, 43 households, reported there had been long-term migration from their families. Reliance SEZ (Jamnagar district): The land for setting up the SEZ was purchased by Reliance Industries Ltd (RIL) from five villages – Kanalus, Derachhikri, Navagam, K anachhikri and Padana. A primary survey of 377 households was carried out in Kanalus (187) and Derachhikri (190) villages. 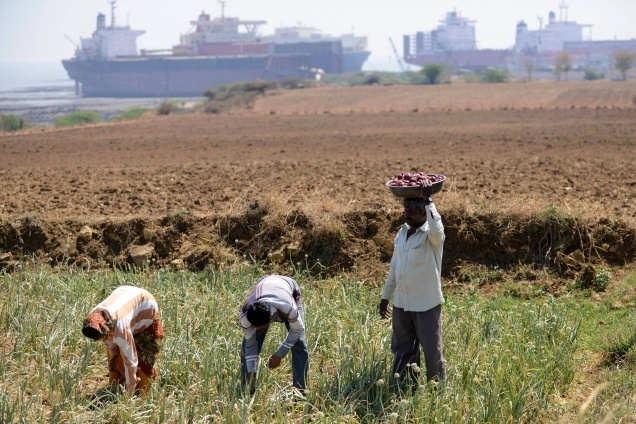 Unlike in the villages in Mundra and Dahej, agriculture was quite good and remunerative here owing to relatively better access to irrigation and the cultivation of high-value crops such as groundnut and cotton. Of the 377 households, 74 per cent had access to irrigation facilities. A rough estimate suggests that one hectare of irrigated area under cotton yielded a net return of Rs 30,000 at the time of the survey in 2010. In addition, there may have been benefits in terms of a post-rabi crop and/or fodder. Losing such productive land was a major loss not only to individual households but also the region. Several of the farmers have already bought land in nearby villages. As many as 243 (64.4 per cent) households owned land before the acquisition. The proportion of landlessness was very high (nearly 58 per cent) among the OBCs. Many of the households sold land with irrigation. “Nevertheless a large number of them reported that they had benefited from the significantly high land prices paid by the company. Since several of them had already purchased new land, their economic status seemed to have improved”, Prof Shah comments. Thus, about 36 per cent still continued to have cultivation as its main occupation. About 20 per cent reported livestock as their main occupation. Direct salaried employment in industry was reported by 6.4 per cent, while 11.5 per cent were self-employed. Of the latter, several had opened small shops in the villages. In addition, renting out houses and shops was an important source of income to a few households in the two villages. Outmigration, especially to Jamnagar and Lalpur, was a widely prevalent phenomenon. For instance, in Kanalus, 30 of the 187 households (16 per cent) had shifted out of the village and only visited it occasionally. Most of them did so in search of work in industries and services in the city/town. 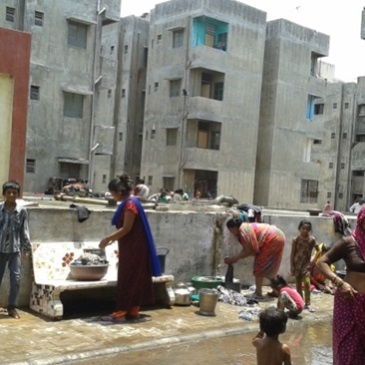 Several of the landless households, especially in Derachhikri, had benefited from non-farm employment in transport, security, and casual labour. The adverse impact on livestock was linked to the loss of pasture land in the study villages. Many of these households were likely to either shift to other locations, or reduce the size of their herds. About 80-82per cent anticipated a decline in income from livestock in the future. Only a handful of the households (17.2 per cent) reported having got direct employment in RIL. This was a major source of discontent among the village communities, who felt most of the newly created jobs had gone to people from outside. A majority of the respondents reported adverse effects in terms of loss of income from livestock (82.5 per cent), declining quality of drinking water (70 per cent), increased soil salinity (45.4 per cent), and loss of agricultural land (49 per cent). 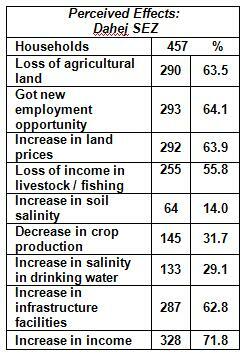 Against this, 60 per cent reported benefits from increased land prices (Table 6). Of 243 landed households, 86 (about 35 per cent) had already purchased agricultural land, and 24 (10 per cent) were planning to purchase land in the near future. Pollution damaging crops and the quality of life was reported as an adverse impact, especially within a radius of five km of the RIL plant. Several of the farmers who had lost their land had purchased new parcels of land in this area. There was also a fair amount of apprehension about the damage that may be caused to the marine ecology by chemical effluents.